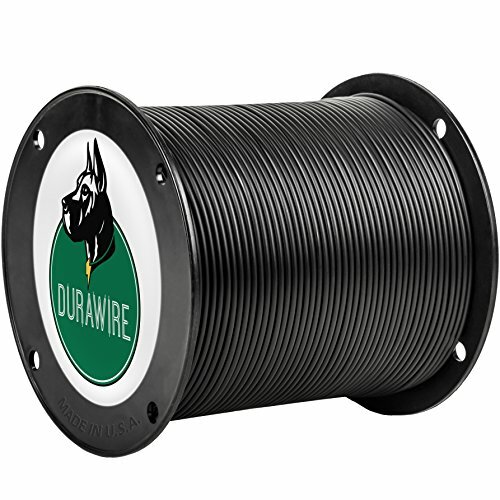 The new and improved Boundary Wire Break Locator helps easily detect wire breaks within any in-ground fence system. Temporarily replace your transmitter then trace your fence configuration. Audible tones help discover each side of a broken wire. Locates complete breaks only; partial breaks will not be detected by the system. The AM radio that is included with the Wire Break Locator kit is a standard AM radio. If it is picking up other stations, quite often the grounding stakes included in the kit have not been properly grounded. The ground needs to be heavily saturated with water so the kit works properly. If the radio won't turn on, we would want to make sure the batteries are good. If the radio still won't turn on with good batteries, we would ask the customer to call Customer Care at 800-732-2677 to get a new unit sent out under warranty. 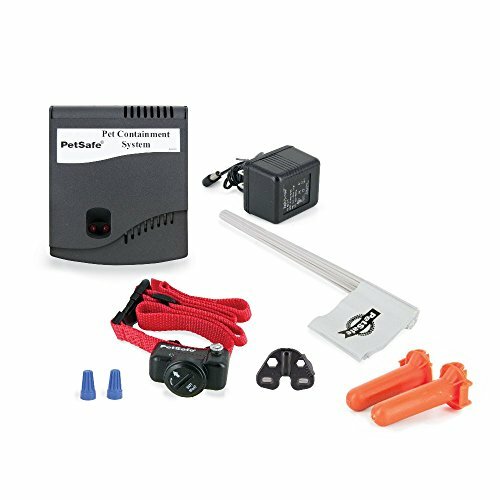 If you already have your dog fence wire installed and need to replace your current dog fence transmitter and collar, you can use the PetSafe Deluxe Radio Fence Without Wire. You can replace any brand of dog fence with this kit. Simply connect your wire to the transmitter then place the collar on your pet. The PetSafe Deluxe Radio Fence with Deluxe Ultralight Collar is for any dog or cat 5 pounds and up. With four levels of programmable correction and a low battery indicator light to let you know when to replace the battery, this is our most versatile and advanced collar. 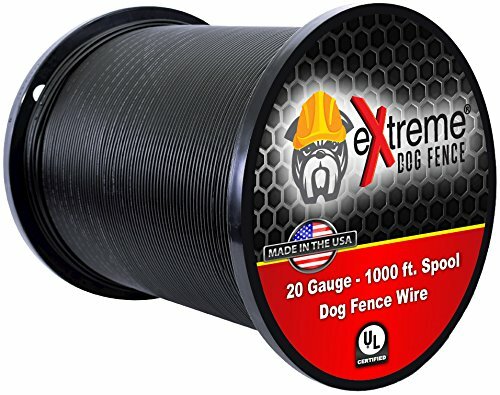 This is a 500 foot roll of Heavy Duty - Solid Core Pet Fence Wire. No matter the terrain you are enclosing, we have the heavy duty wire you will need. 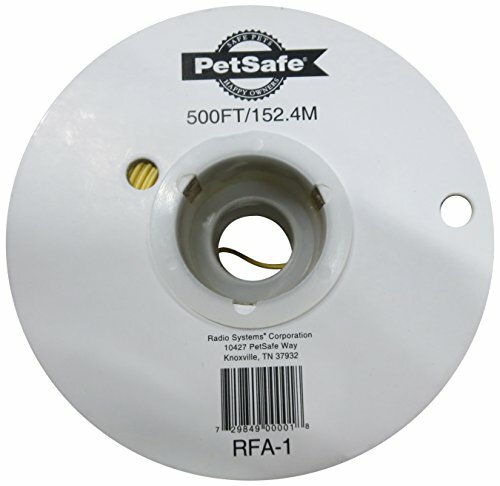 These 500 foot rolls are enough wire to enclose up to 1/3 acre. We recommend heavy duty pet fence wire in any areas where the wire may experience wear and tear such as rocky conditions or cold weather climates. Electric dog fences usually come with the cheapest low grade wire available. 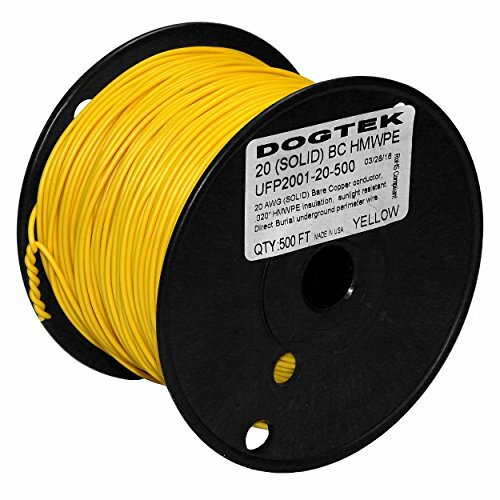 Most professionally installed systems use the more substantial heavy duty polyethylene coated wire. Whether you're replacing a section of your existing fence or wiring your yard from scratch, you can easily find a relatively inexpensive and compatible wire for your project. Regardless of gauge, you should choose only a solid insulated wire rated for burial preferably polyethylene or plastic coated works best. All of our wire use these coatings for maximum performance. 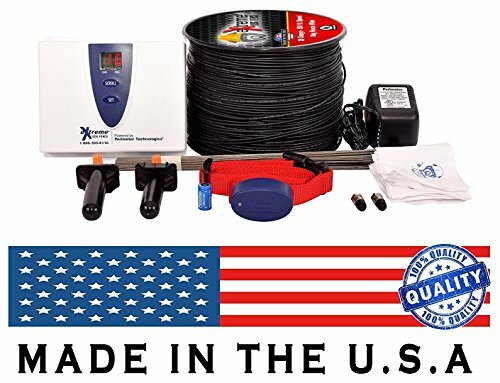 This wire is compatible with all PetSafe®, SportDOG®, Innotek®, Invisible Fence® Brand, Dog Watch® PetStop®, Contain Your pet®, Dog Guard®, Perimeter® Brand, Dogtek®, Dogtra®, Guardian®, Havahart® and all other brands of in-ground electric dog fence systems. 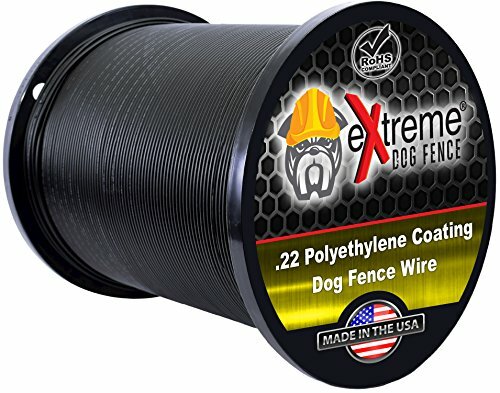 The eXtreme Dog Fence® is the only American made "do it yourself" electric dog fence system.The digital dog fence indoor transmitter is able to run on 2 different frequencies to help avoid interference with neighboring fence systems.The high tensile dog fence outdoor boundary wire is covered in a protective polyethylene jacket that is designed to be UV resistant.Your dog fence collar is waterproof and able to accommodate small dogs or large dogs.Each dog fence kit comes with detailed installation instructions in the training manual.This is a heavy duty dog fence and is comparable, if not better than a professional installed electric fence for dogs.Customer support is standing by to help ensure your in ground dog fence installation is easy and successful.Choose the better alternative to a wireless dog fence. The eXtreme Dog Fence® will keep your pet safe and contained. How to find a wire break in a underground dog or pet fence using an AM radio for FREE!